When the family is winding down after a day of festivities, it can be a great idea to pop in a movie to sit down and relax. With the right Easter movies, you’ll be able to put a fantastic ending on a special occasion and you’ll surely appreciate being able to kick your feet up and relax after entertaining. 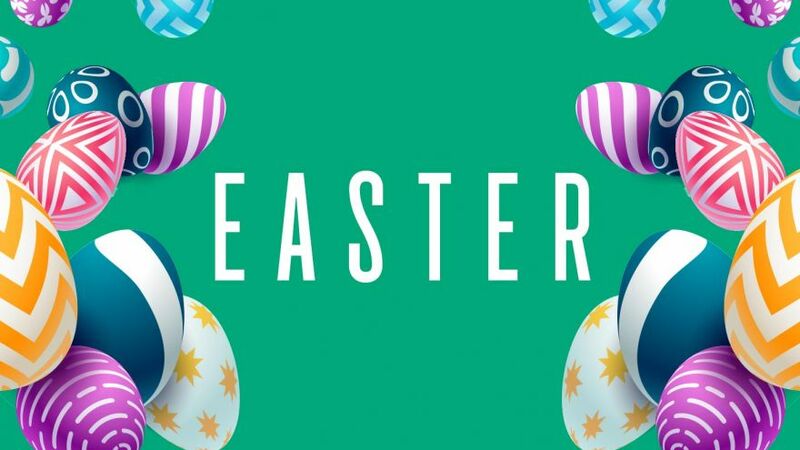 Instead of relying on the not-so-great movies you’d find on cable, we’ve created a list of the top-rated Easter movies that you should surely consider watching. 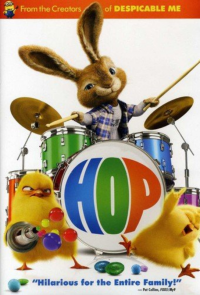 “Hop” is the type of film that your kids will enjoy the most but it will also entertain older audiences as well. It’s the perfect combination of familial responsibilities, adventures, and hilarious jokes that will keep you laughing throughout the entirety of the film. Starring Russell Brand and James Marsden, there is a giant Easter candy factory hidden under Easter Island. E.B. (Russell Brand) is destined to take over the factory, however, he doesn’t have an interest in it as he would rather be a drummer. Instead of facing his responsibilities, he takes off to Los Angeles where he runs into Fred O’Hare (James Marsden). E.B. seemingly has found his place in Los Angeles, that is until a chick plans a coup back on Easter Island and he has to make a huge decision. Does he stay in Los Angeles for selfish reasons or head back to the island in an effort to save his family’s company? 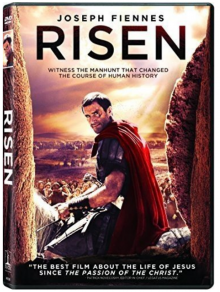 “Risen” is a fantastic adaptation of an event that many people claim is the most exciting in history. It takes an interesting viewpoint of the resurrection of Jesus Christ with the perfect combination of facts, action, and adventure. Clavius, a Roman military tribune played by Joseph Fiennes, is someone who is hard to break of his own routine after serving 25 years in the military. He reaches a personal crossroad when he is given the task to look into the mystery of what happened to Jesus, played by Cliff Curtis. Throughout his journey, he is accompanied by Lucius (Tom Felton) to disprove rumors that Jesus has in fact risen and he experiences things that make him question his morals and beliefs. Clavius goes down many paths that open his mind and helps him to discover the truth behind what it is that he is seeking. 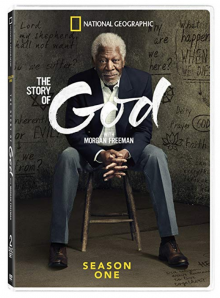 If you’re looking for a historically accurate and religious-based documentary, we highly recommend “The Story of God with Morgan Freeman”. It takes an interesting approach to explore the world of religion, as Morgan Freeman travels to different countries around the world to learn more about how they celebrate their faith. Instead of focusing primarily on Jesus Christ, you will learn a lot about many different cultures around the globe. It is also an eye-opening documentary that will answer many questions and leave you with a new appreciation for religion and what it means to have faith. In addition, you can’t go wrong with a film that stars and is narrated by Morgan Freeman. Everyone in the family will be on the edge of their seats wanting to learn more about what this beautiful world has to offer. 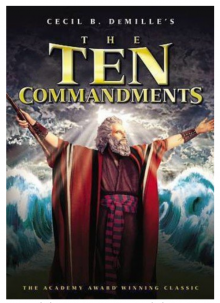 Easily one of the most classic Easter movies to watch, “The Ten Commandments” is something to consider every year. Charlton Heston is absolutely iconic and this film is the type of movie that everyone should see at one point or another. The movie follows the story of Moses and his fight against his brother, the Pharaoh of Egypt. It has everything that you would expect from a classic Hollywood movie ranging from spectacular acting to breathtaking scenery that puts more modern movies to shame. Also starring Yul Brenner, Cecil B. DeMille won an Oscar for Best Picture for this film. 5. It’s the Easter Beagle, Charlie Brown! What family holiday would be complete without a Charlie Brown movie? “It’s the Easter Beagle, Charlie Brown!” is a fantastic film that will keep the whole family entertained. It’s also a great way to show your kids how classic movies transcend through the decades. It was originally a TV special that aired in 1974, but it’s a highly watchable classic that captures the adventure of the gang contending with the Easter Beagle. You’ll appreciate the true nostalgia that it will bring to the screen. Additionally, your kids will learn a lot of lessons about friendship, perseverance, and the best part is that the entire film revolves around Easter. If you’re looking for an innovative way to learn about the story of Jesus, “Jesus Christ Superstar” is a great choice. It’s a 1970s rocking musical that features ballads, bellbottoms, and the story of Jesus set to music. The combination of Tim Rice and Andrew Lloyd Webber is as iconic today as it was when it first debuted on Broadway. You’ll appreciate the array of modern designed costumes and props as well as the spectacular imagery shot throughout Israel. 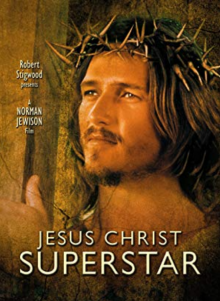 Starring Ted Neeley as Jesus Christ, Carl Anderson as Judas, and Yvonne Elliman as Mary Magdalene, you’ll be singing the songs of this classic musical over the coming months. What we love about “Jesus Christ Superstar” the most is that it takes a more modern approach to teach your family the story of Jesus. However, it doesn’t take away from the importance of religion and faith. It’s a far more entertaining way to spend time with the family compared to other bland Easter-related movies. When it comes time to close down the house after Easter dinner, you can throw in a movie, pop some popcorn, and eat the rest of the candy with your family. No matter if you’re looking for a film specifically for the kids or for the whole household, this list is sure to help. 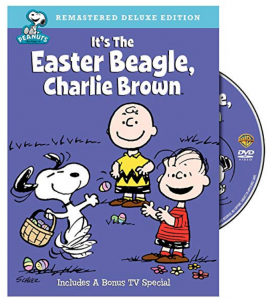 From action adventures for adults, such as “Risen”, to family-friend spectacles, such as “It’s the Easter Beagle, Charlie Brown!” there’s surely something for everyone. Most of these movies are available through streaming sites such as Netflix and Hulu. 10 BFF Necklaces That Make the Perfect Gift for Your Bestie!